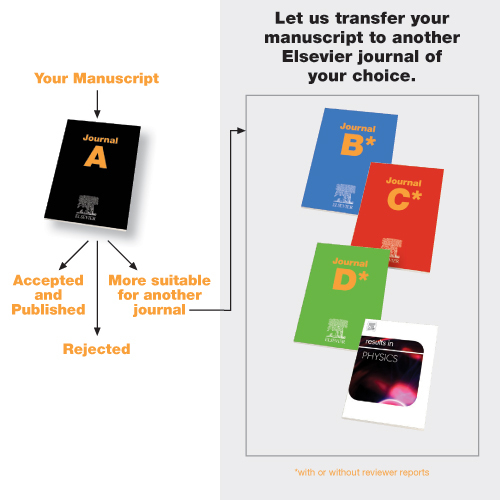 If your manuscript is deemed unsuitable for publication in your chosen journal, the editor may suggest you transfer your submission to a more suitable journal, via Elsevier’s Article Transfer Service (ATS). If you agree to this, your manuscript will be transferred with no need to reformat. Transferring your submission with ATS is simple. You will receive the transfer offer by email – start the transfer process by clicking on the link. Select the appropriate receiving journal, and your paper will be transferred automatically. At this point you have the chance to revise your submission – just submit a ‘response to reviewers’ document detailing the changes you’ve made. Now all you need to do is complete your submission (additional files may be required depending on the journal), approve the PDF and submit. If you would prefer to submit to a different journal instead, simply decline the transfer offer and submit to a new journal. Peer review plays an integral role in the interaction and communication between authors, readers, reviewers and editors as the established method to evaluate the quality of science. We recognise though that there are shortcomings, and sometimes even frustrations, associated with the traditional manuscript submission and peer review processes. Our aim is to help facilitate and develop fast, effective and truly innovative solutions to improve the overall manuscript submission and peer review process for all individuals concerned. Traditional publishing processes are changing and in this context we have established clusters of linked journals within various academic fields. This allows us to foster collaboration between those journals, enabling us to deliver more options and better services to improve the publication process.